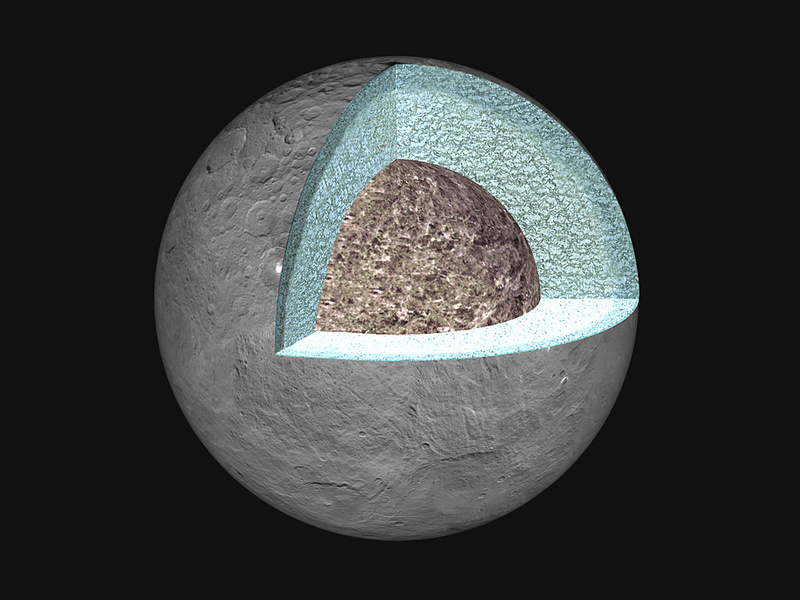 This artist’s concept shows a diagram of how the inside of Ceres could be structured, based on data about the dwarf planet’s gravity field from NASA’s Dawn mission. 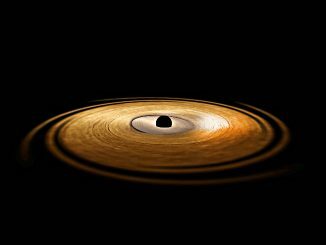 Illustration credit: NASA/JPL-Caltech/UCLA/MPS/DLR/IDA. Ceres’ gravity field is measured by monitoring radio signals sent to Dawn, and then received back on Earth, by NASA’s Deep Space Network. This network is a collection of large antennas at three locations around the globe that communicate with interplanetary spacecraft. Using these signals, scientists can measure the spacecraft’s speed to a precision of 0.004 inches (0.1 millimetres) per second, and then calculate the details of the gravity field. “We have found that the divisions between different layers are less pronounced inside Ceres than the Moon and other planets in our solar system,” Park said. “Earth, with its metallic core, semi-fluid mantle and outer crust, has a more clearly defined structure than Ceres,” Park said. A concept called Comet Hitchhiker, developed at NASA’s Jet Propulsion Laboratory, puts forth a new way to get into orbit and land on comets and asteroids, using the kinetic energy — the energy of motion — of these small bodies. Masahiro Ono, the principal investigator based at JPL, had Douglas Adams’ “Hitchhiker’s Guide to the Galaxy” in mind when dreaming up the idea. 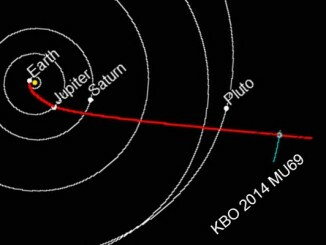 NASA’s New Horizons spacecraft, speeding toward deeper space at more than 32,000 miles per hour, has successfully performed a series of targeting manoeuvres that set it on course for a January 2019 encounter with Kuiper Belt object 2014 MU69. This ancient body is more than a billion miles beyond Pluto. 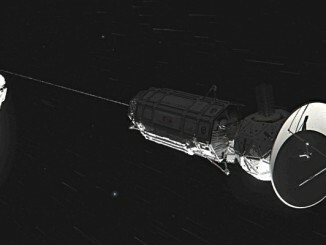 The propulsive manoeuvres were the most distant trajectory corrections ever performed by any spacecraft.